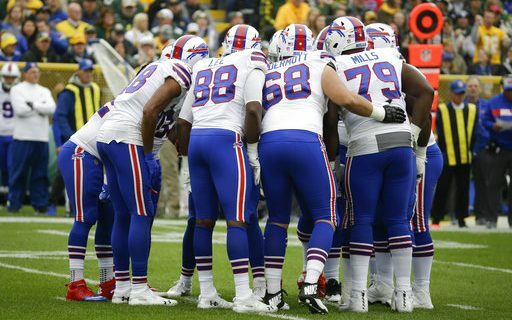 It’s beginning to sound like a broken record but every week when I sit down to write this column the same thing comes into my head….The Buffalo Bills just don’t have enough talent especially at the key positions to win in the National Football League right now. For the most part, the Bills defense has the talent to win 8-9 games but they can’t do it by themselves. The offense is where the Bills talent is substandard and it isn’t just at one position, it’s at every position. 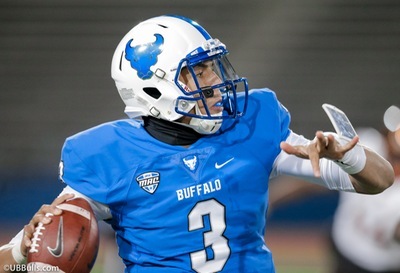 The Bills drafted Josh Allen to be the quarterback of the future but as he showed far too often before his arm injury that he isn’t ready to be a starter in the NFL. That doesn’t mean he won’t become a very good NFL quarterback, but rather when a rookie quarterback plays, bad things happen. There were five quarterbacks selected in the first round of the 2018 NFL Draft, the first four are starting for their clubs and all of these clubs have losing records. Baker Mayfield is in Cleveland and they sit with a 2-5-1 record and they fired their Head Coach yesterday. The New York Jets took Sam Darnold and their record is 3-5. Arizona selected Josh Rosen and the result are similar as they are 2-6. And then there are the Bills who are also 2-6. It is very obvious to see, play a rookie quarterback and your team can’t expect to win. As I mentioned above, quarterback isn’t the only position on offense where the Bills are weak. The offensive line is substandard, the wide receiver position has some young talent but it is underdeveloped and they struggle to get open. Add to that the fact that the veteran of the group Kelvin Benjamin seldom gives the team a 100% effort. The strongest part of his game is his consistent ability to not compete. While the offensive line as a whole is weak, the run game also needs strong blocking from the tight end position in order to be successful. The present roster has the Bills will several “move” type tight ends but they don’t have a guy who can line up at the “Y” position and block with effectiveness. That became painfully apparent last night when the Bills had Charles Clay and Logan Thomas try and line up and block the Patriots Trey Flowers. Flowers got rid of them quicker than he can shed a blocking dummy and the results of the plays were losses. When the Bills traded for Shady McCoy he was coming off a very successful career in Philadelphia and a career where he had shown almost rare durability. The longer a back plays in the League, the more vulnerable he becomes to injury and that has been the case with McCoy. While he may have not suffered any major injuries, he lacks the effectiveness he once had. Last year McCoy averaged only 4.0 yards per carry and this year he is at 3.4. While McCoy can still come up with big plays he may be more effective if he is not asked to be the lead back. The problem the Bills have is they don’t have a runner who can be a lead type back on the roster. As I have mentioned several times this year, the Bills have to play perfect football in order to win because of their understocked roster. After next week, the schedule may get a little easier and just maybe the Bills can get some wins. Next week the Bills host the Chicago Bears who are one of the most improved teams in the NFL but after that game they go to the Jets. They then host Jacksonville, travel to Miami and host the Jets. If the Bills can win two or three games in that five game stretch it will success. Assuming that Allen is ready to play in two weeks when the Bills meet the Jets it will be the battle of two rookie quarterbacks. Like the Bills, the Jets have a strong defense but struggle on offense and currently their best receivers are out with injuries. Jacksonville has to be one of the most disappointing teams in the NFL this year. They were looked at as a possible Super Bowl contender and right now they are 3-5. The Dolphins have been up and down this year but they do play well at home, so that will be a tough task for the Bills. I am not a proponent of “tanking” and I don’t feel that NFL teams try to tank like teams do in the other professional sports but reality is the higher the Bills draft, the better chance they have at selecting top players. Right now the Bills need at least two offensive linemen, two wide receivers, a blocking tight end and probably a running back. That can be done through both the draft and free agency. But right now with two full months to go in the regular season for both college and the NFL we have no idea who will be available. The best thing I can say is that Bills fans have to be patient and trust me, I know how tough that can be.